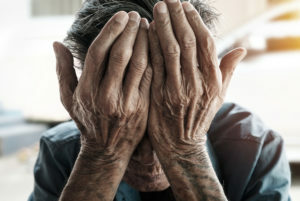 When a loved one is injured or abused in a nursing home, family members have every right to believe that an investigation will take place in a timely manner. According to federal law, when a serious injury or death is reported, states have two days to initiate an investigation. In Georgia, those investigations have taken weeks to begin. According to reports, Georgia is the second-slowest state in the nation to begin investigating allegations of abuse or serious injury in its nursing homes. While other states have begun investigations in a timely manner, officials in Georgia have taken as many as 15 days to start an investigation. The state’s Department of Community Health has blamed a high rate of turnover, low pay and job vacancies for the lack of speed in investigations. They have also said that their backlog has been cleared thanks to a state allocation of $4.3 million. One woman who made a report on behalf of her mother said that not only did the investigation take too long to start, but just making the report proved to be difficult. Georgia is second only to Tennessee in the length of time it took to begin investigations. The two states received more than 900 complaints in 2015. Of those complaints, 654 were investigated late. If a loved one has been the victim of elder abuse in Atlanta, you have legal rights. Reach out to our team of personal injury attorneys for assistance. We will review your case and help you make the best decisions possible.